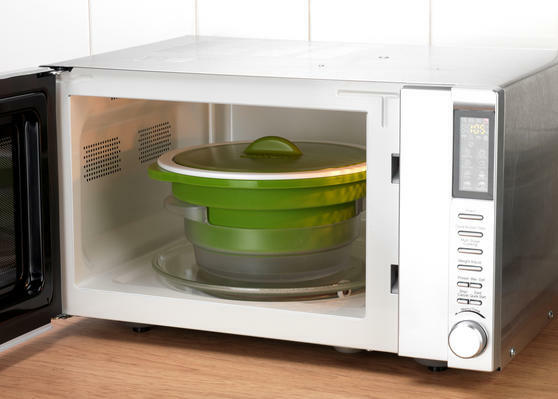 Retain important vitamins and minerals in your food with the Salter DUOsteam, featuring innovative carbon steel technology which steams vegetables, meat and fish to perfection in the microwave or on the hob. 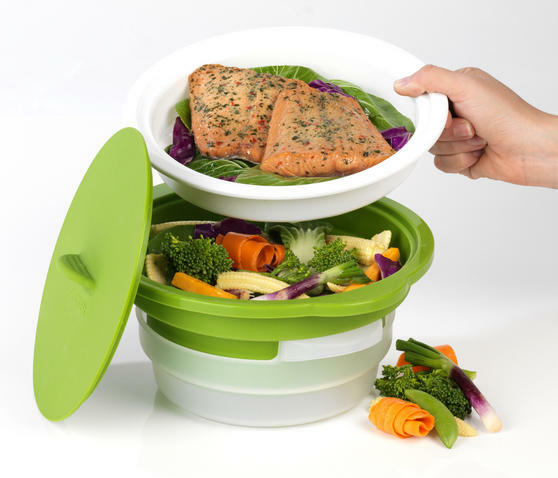 The multipurpose steamer is dishwasher safe and ensures effortless food preparation, to speed up making delicious and nutritional meals. 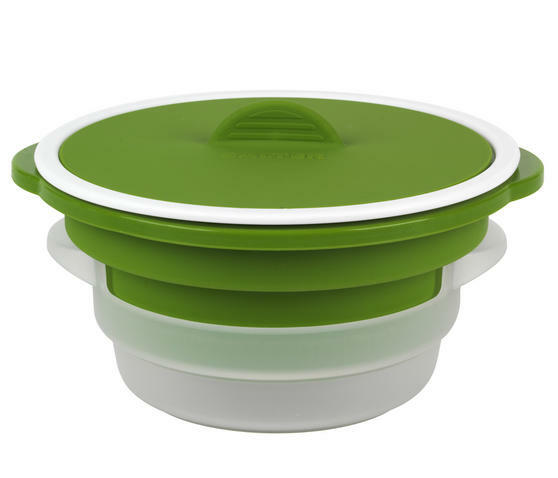 The versatile design allows you to cook different ingredients at the same time using the stackable steaming bowls for a satisfying meal in minutes. Steam your favourite foods over two tiers in the compact Salter DUOsteam, with better flavour and no need for cooking oil. 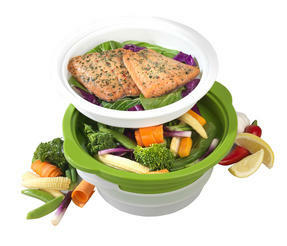 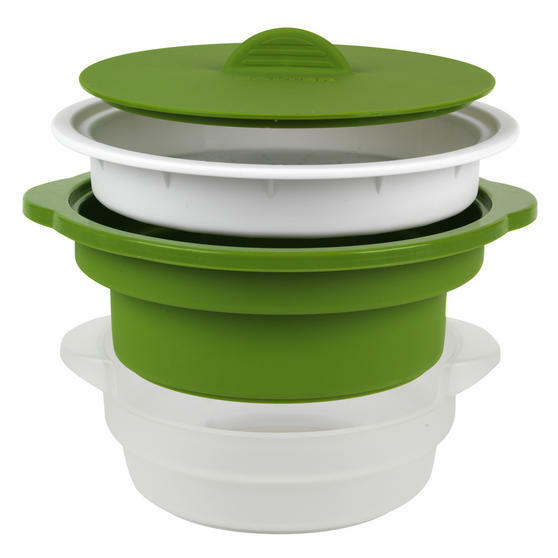 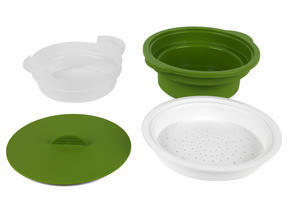 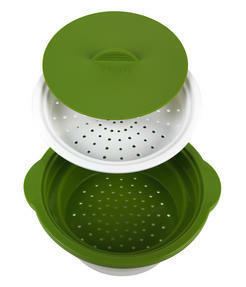 The steamer has two stackable tiers on top of a water bowl in order to steam food efficiently in the microwave for a delicious meal. With carbon steel technology, the microwaves are directed away from your food and into the water in order to steam-cook your food. 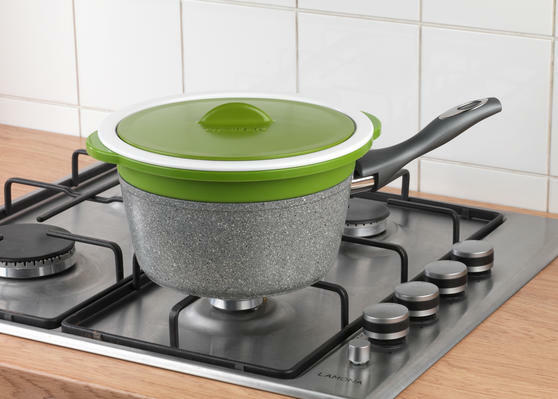 Also compatible with 18 and 20 cm saucepans for steaming on the hob, it delivers brilliantly healthy and hassle-free meals to any home. 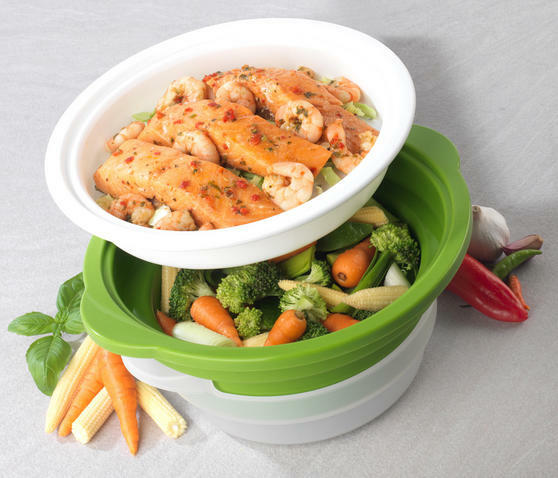 The DUOsteam delivers speedy cooking without compromising a healthy diet so you can goodbye to unhealthy, processed microwave meals.